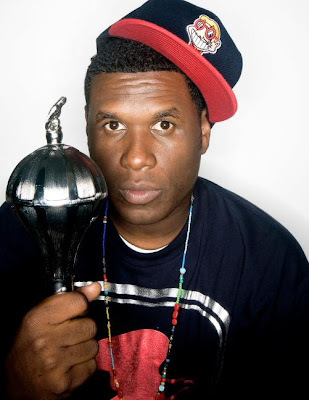 This will officially be my first Jay Electronica entry. Apparently this has the Internet going nuts. I'll admit this is a nice tune, I'm just not sold on Jay yet. All my peoples is bigging dude up & this is the first joint that has peaked my interest. On a side note I peeped some comments on some random blog where some Neo Hip Hop maggots were all upset over other artist spitting freestyles over the beat. C'MON SON. Anyways props on this joint.